If your having a large event and are on a limited budget, call us for information on our equipment rental / commission options. 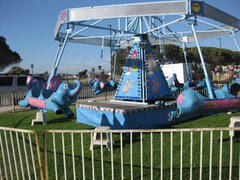 Funbounce.com offers some equipment from other companies usually at the same pricing they offer to the public. We do this as a service to you, the customer, to make your research quick and easy for your event. We want Funbounce.com to be the only name you think of when needing party rental equipment. This equipment is owned by another company and is not part of our inventory. You agree by requesting this item, Funbounce.com is not responsible for the actions or results of using this equipment at your event and is in no way responsible for any accidents, injuries or actions caused by the other company. This is a non owned company piece where we work with the owner to offer this product to you. We will confirm availability and finalize your reservation after doing so.